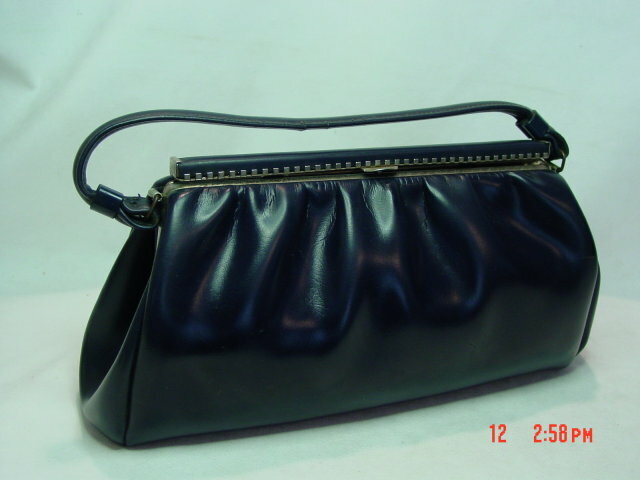 This vintage kelly style handbag is made out of navy blue leather by Spilene. The hardware looks like it was once goldtone and has some discoloration but is otherwise in good condition. 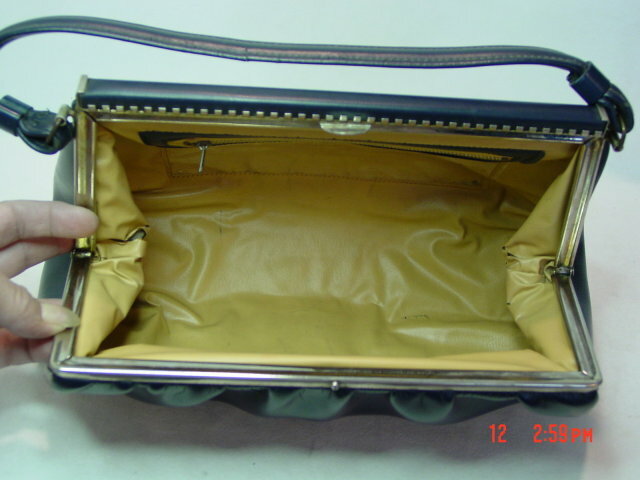 The interior is lined in tan vinyl. 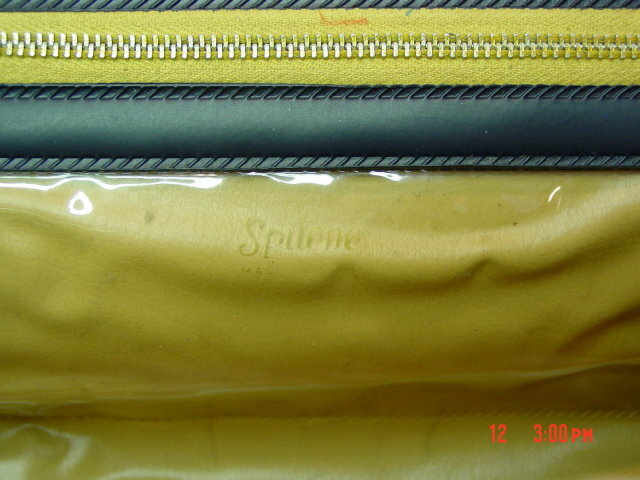 A zippered clear vinyl pocket outlined by black vinyl is on the back side, and the Spilene name is printed in gold on it. 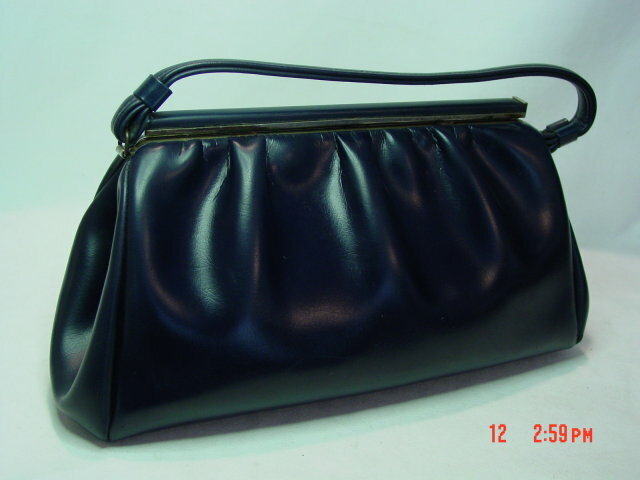 Items Similar To "Vintage Navy Blue Leather Handbag by Spilene"